Well…hello. I have been seriously neglecting you of late. If you thrive on neglect then you are okay with this situation. If, on the other hand, you don’t care for being neglected – I am sorry. I am down to the nubbins in my root cellar. There are onions. And then there are more onions. Note to self: don’t plant quite so many onions this season. There are shallots and garlic – both in excellent condition. There are carrots which, I am sad to say, are showing their age. 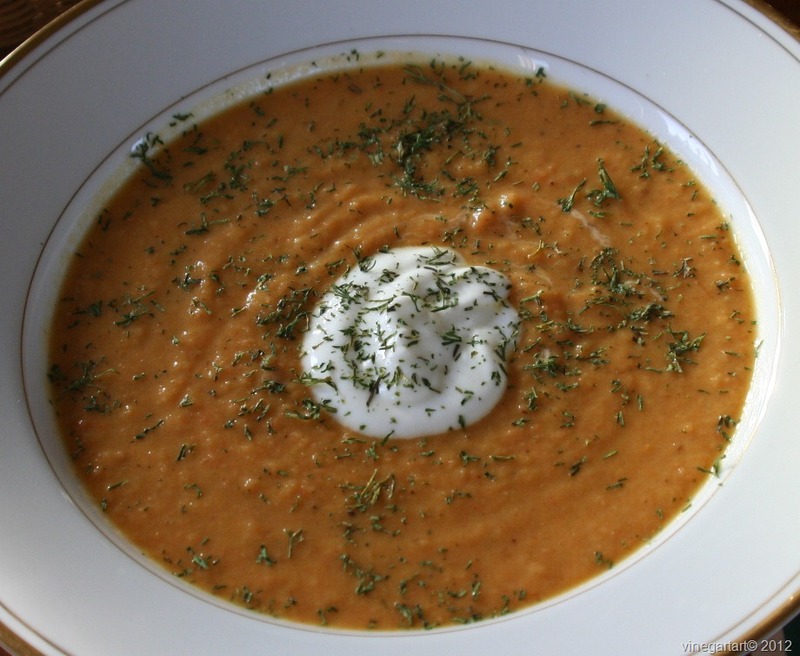 So, carrot soup it is and since I am on a bay laurel kick, this soup includes bay laurel. This is not a recipe for carrot soup. It is so easy to make – there is no right or wrong way. 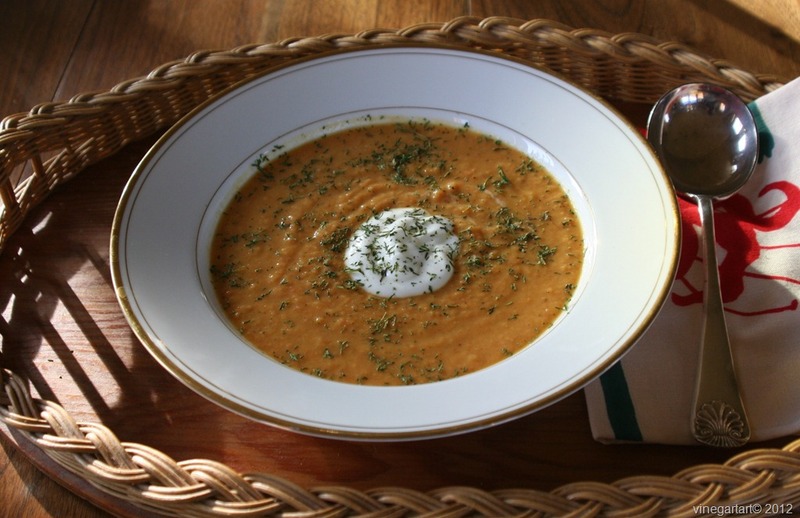 You can make a soup with chunks of carrot or you can make a puree or cream style soup. It is up to you. You can add milk or cream. Or not. You can add curry powder. Or not. The ingredient list is just a guideline. Make half the recipe if you are not so keen on leftovers. I like to roast the vegetables because they can roast largely unattended leaving me free to do other things. Start by heating your oven to 350F. 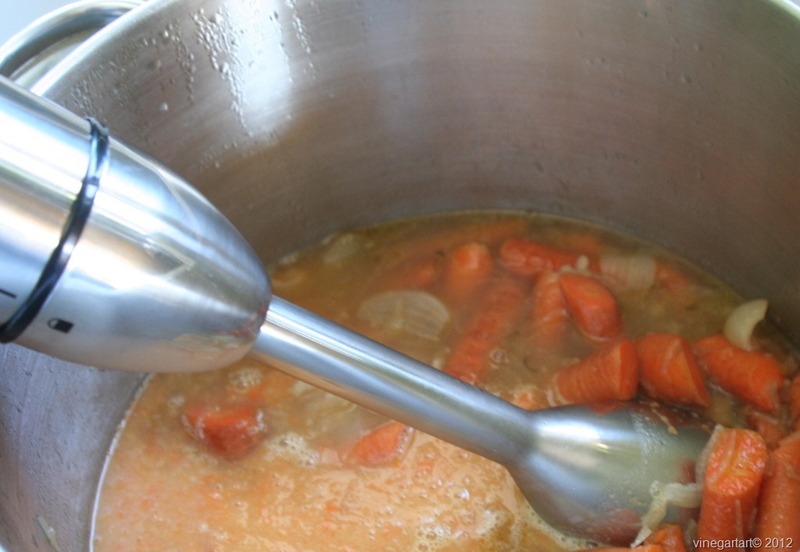 I don’t peel the carrots just scrub them – see how easy this is. Cut them into three-inch pieces and put them on a sheet pan. 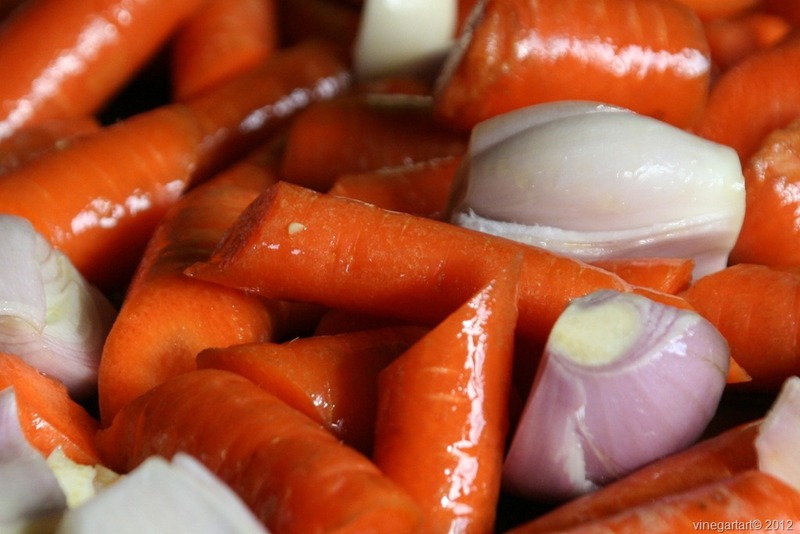 Add onions or shallots to carrots together with garlic. 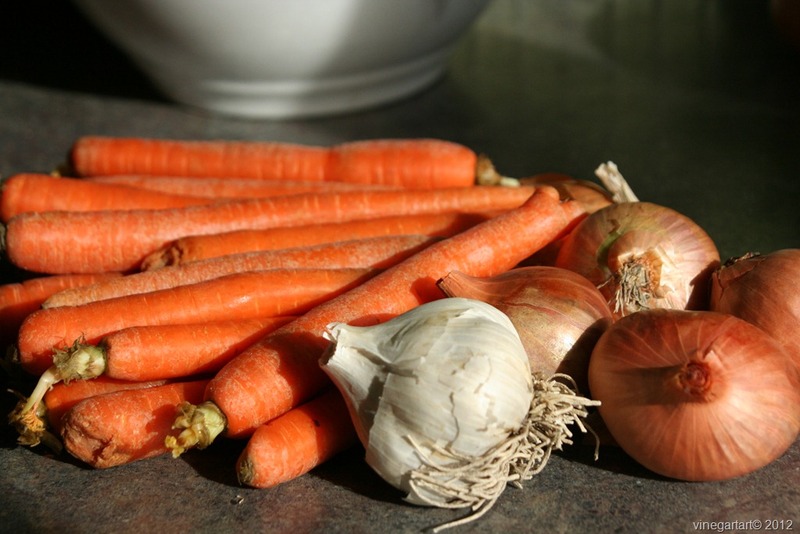 Add 1 or 2 tablespoons of olive oil and massage into the carrots, onions and garlic. Drizzle over 1 or 2 tablespoons of red wine vinegar (or white, tarragon infused, apricot infused – whatever you have going). Sprinkle thyme over vegetables and throw in 2 or 3 bay leaves. Put in the oven for about 45 minutes. Now, you can do the speed roasting thing by jacking the oven up to 450F and roasting for about 20 minutes but I prefer the long, slow roast – less chance of too much browning. This is, after all, a delicate soup. 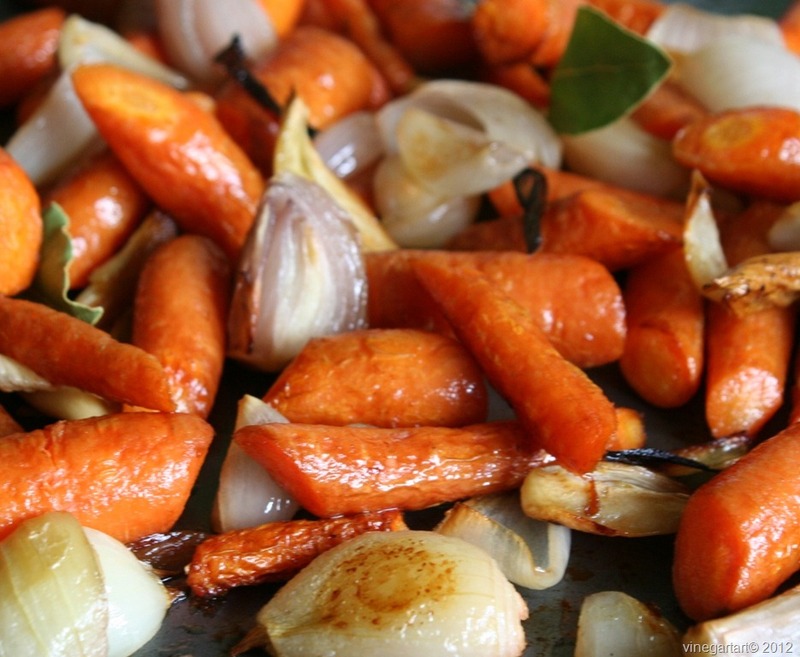 Once the vegetables are nicely roasted, take them out of the oven and drop them into a stock pot. Add 4 cups water or stock, more or less, 2 tablespoons uncooked rice, salt and pepper to taste. The rice will help to make a very smooth soup. Bring to a boil, lower the heat and cook until the rice is tender. 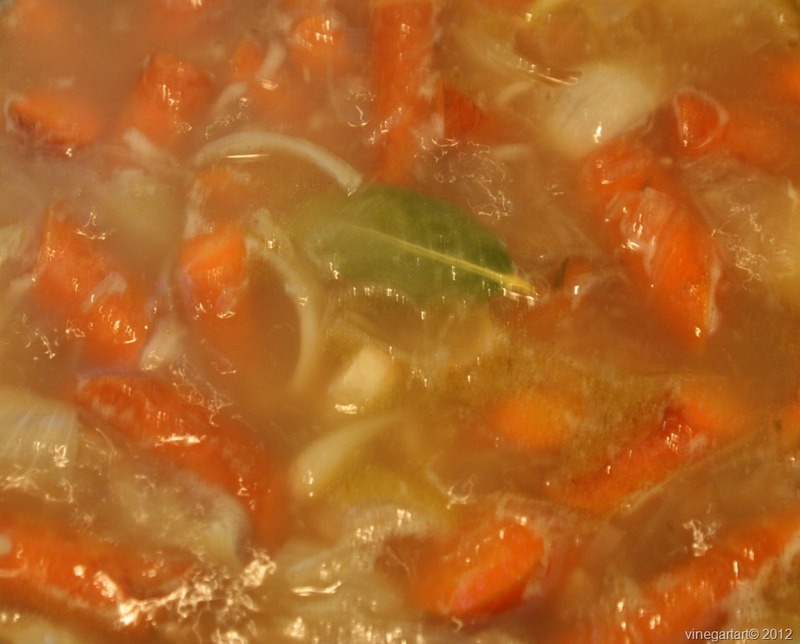 At this point you can blend the soup – but before you do, remove the bay leaves. You may find the soup is now too thick more like a puree. Simply add milk and/or cream until it is the consistency you like. Taste. I add a little more thyme at this stage. Taste – adjust seasoning if necessary. This soup can be really boring. Taste and season. Taste and season. Add a little bit more vinegar, if necessary, to brighten the flavour. That is it. Serve with some fresh bread and a nice fruity white wine. It is warm and nourishing.